With the states struggling to find new sources of revenue, unclaimed property audits are on the rise. The risks associated with both over-compliance and under-compliance also continue to grow. Companies are wise to assemble a strong unclaimed property compliance function and team, including internal unclaimed property resources and an experienced unclaimed property consultant. 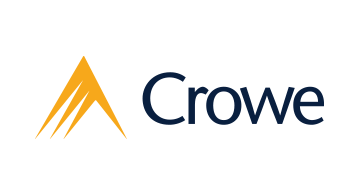 Crowe is a public accounting, consulting, and technology firm that combines deep industry and specialized expertise with innovation. We have one of the country’s largest teams of professionals solely dedicated to unclaimed property. Crowe is the outsource provider for hundreds of companies and have favorably settled complex audits and voluntary disclosures on behalf of some of the nation’s largest organizations. Crowe assists organizations with understanding how their unclaimed property compliance processes measure up, help reduce their liability through available exemptions and deductions, and provide support with their annual filings. By listening to our clients, we learn about their businesses and the challenges they face. Our dedicated unclaimed property team strives to deliver exceptional client service while upholding our core values and strong professional standards. Crowe invests in tomorrow because we know smart decisions build lasting value for our clients, people, and profession.